Omega‘s hit of Baselworld 2017 was the 1957 Trilogy, intended to mark the 60th anniversary of the Speedmaster, Seamaster 300 and Railmaster. All three watches made their debut in 1957 and went to to become respectively, life-changing, important and somewhat neglected. With careful attention to detail, every watch in the 1957 Trilogy recreates the look and feel of the originals, right down to the size, textures and even the tiny engraved logo on the crystal. 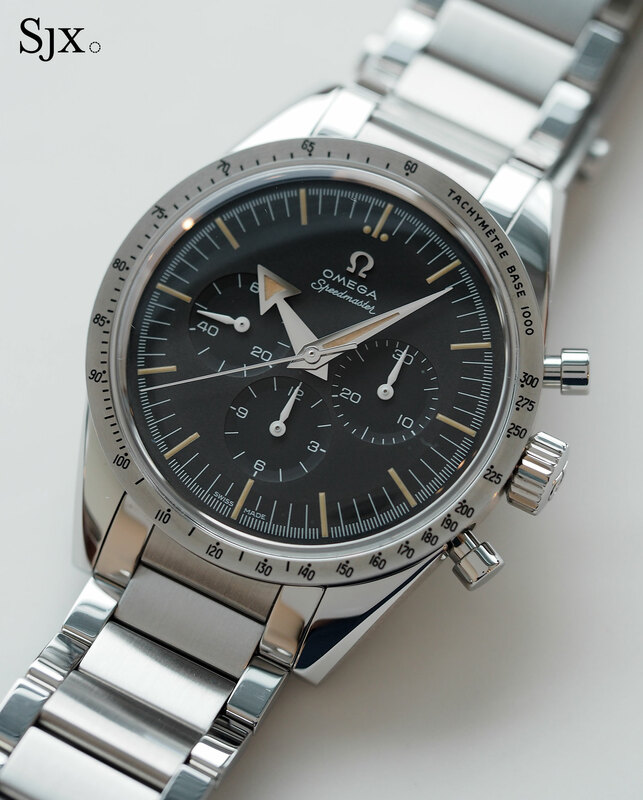 According to Omega Museum curator Petros Protopapas, the brand’s product development team worked closely with the museum to get everything it right. 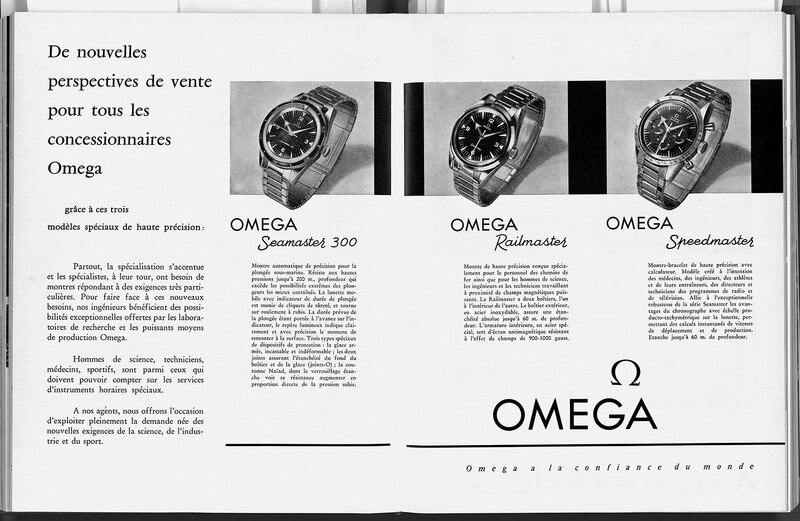 Omega even created three-dimensional virtual models of vintage originals in the museum using x-ray tomography, to ensure the external components of the remakes matched the originals as much as possible. There are minor differences between the remakes and the originals, for instance the engraved logo on the back, the position of “Swiss made” on the dial, but the feel of the remakes is spot-on and convincing. The only part of each watch that is obviously modern are the bracelets, which are all solidly constructed and fitted with chunky, push-button clasps that feel a bit too large; the bracelets are polar opposites of the dinky bracelets of the 1950s. The 1957 Trilogy, together and individually, is a surprisingly faithful remake of the originals. Separately, and also together, they are also reasonably, but not cheaply, priced, making each a compelling proposition. But which is the most compelling? The 1957 Trilogy is available together that’s limited to 557-sets for almost exactly the same (it’s about 2.5% more) as the individual watches combined. 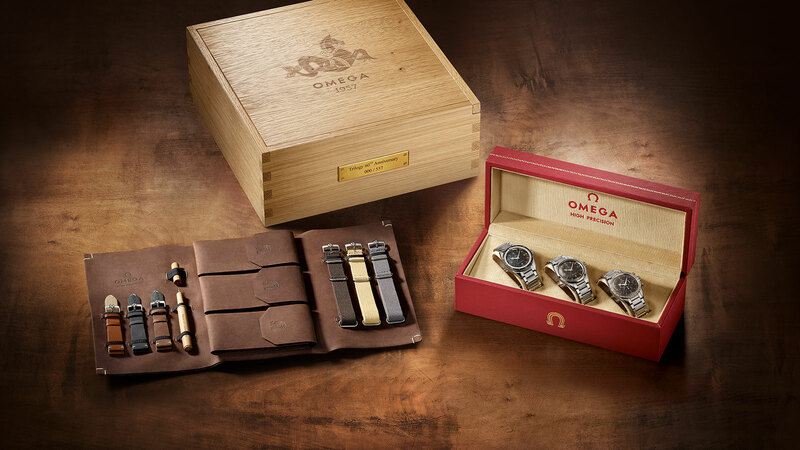 It’s impressively packaged in a large, three-part presentation box that starts with a large oak case, containing a smaller vintage-inspired box. But the set has an almost fatal drawback: each watch features “Trilogy” along with its serial number (from “001” to “557”) at 12 o’clock on the dial. The text looks uncomfortably out of place, marring what is otherwise a well executed remake. 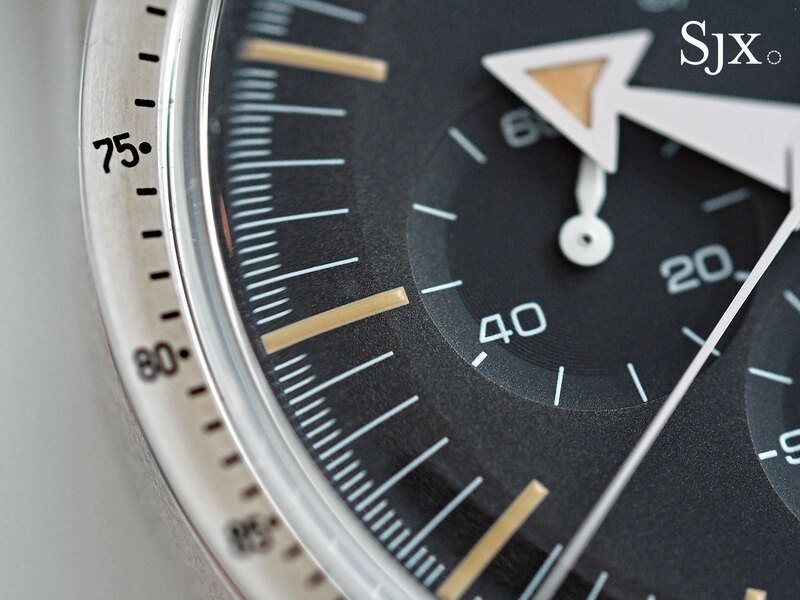 The Speedmaster 60th Anniversary Limited Edition (ref. 311.10.39.30.01.001) is the obvious, easy choice. It’s a remake of the ref. 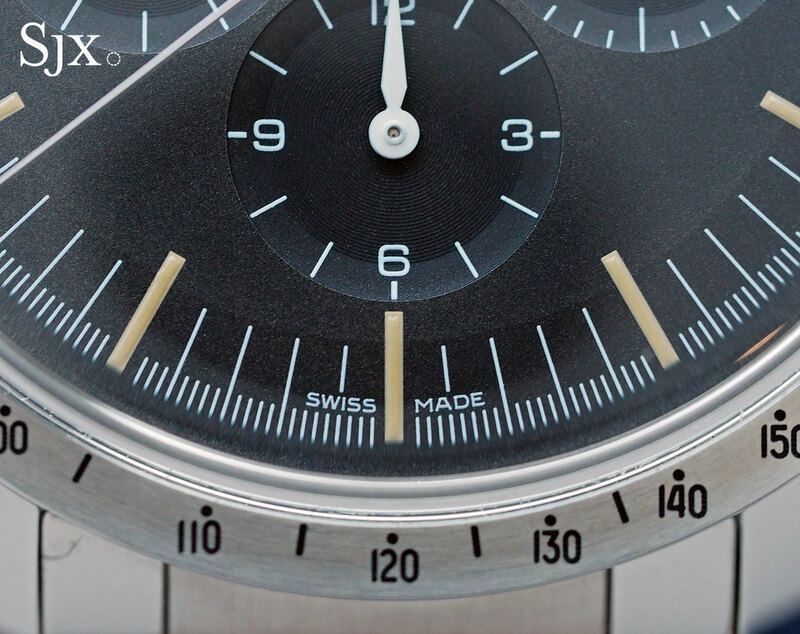 CK 2915-1, the very first Speedmaster and a watch that’s worth north of US$100,000 today. 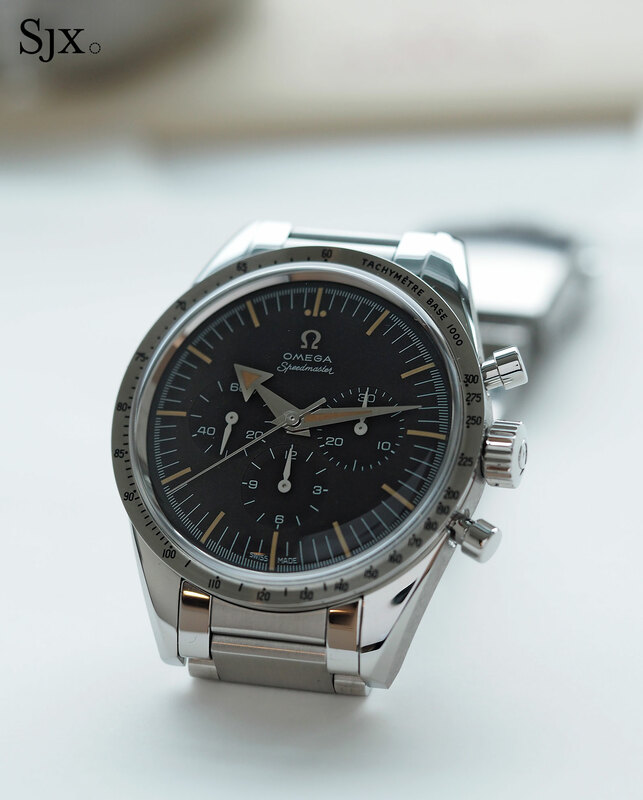 For less than a tenth of that, the Speedmaster looks almost exactly the same. 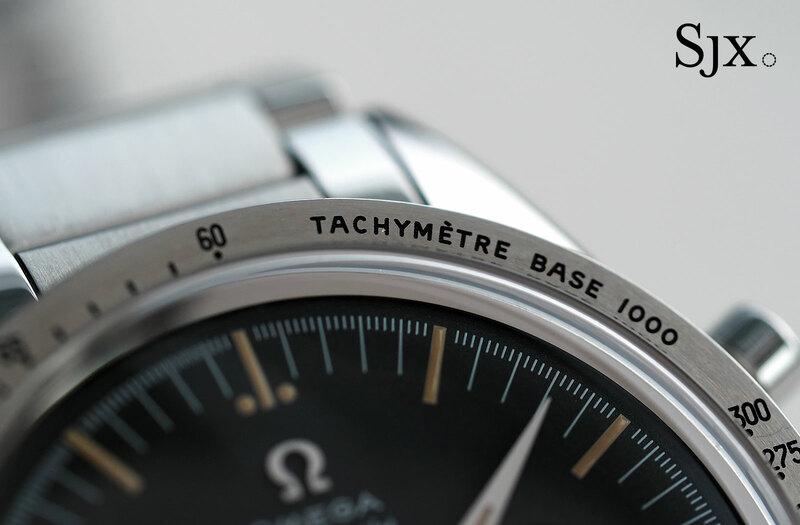 From the “base 1000” bezel to the “Mercedes” logo crown (indicating the water-resistant Naiad crown of the 1950s), Omega got it right. 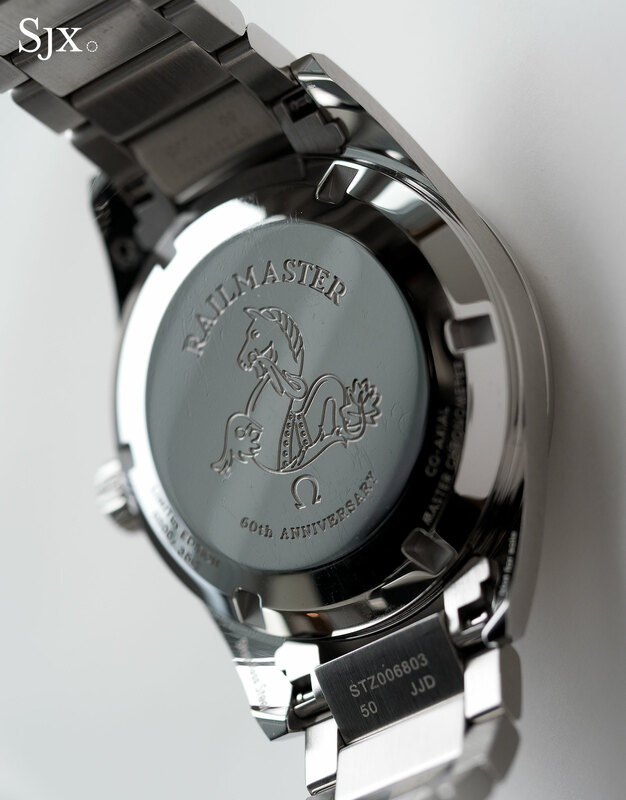 As with the original, the crystal is Hesalite with a tiny Omega logo in the centre. The Super-Luminova on the hands is tan, to replicate the look of aged radium found on vintage originals, which is perhaps a bit too fashionable but visually attractive. With some nitpicking the watch reveals minor differences with the original, including slightly thicker font on the lettering, but it is admirably well done. At 38.6mm in diameter, it’s sized like the CK 2915-1, though the more robustly constructed bracelet makes it noticeably weightier than the original – the same holds true for both the Seamaster 300 and Railmaster. The bracelet does, however, look much like the vintage original, save for the clasp, which is a thick and clearly modern construction. 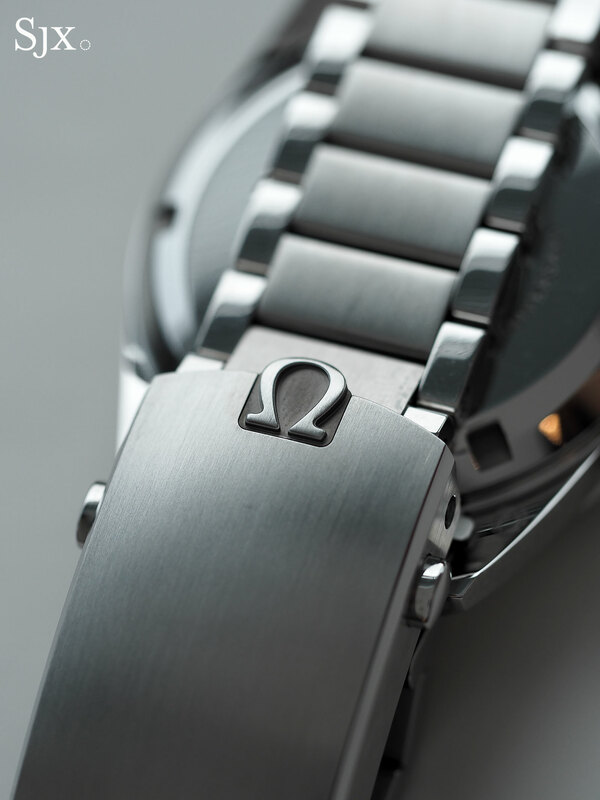 Though it bears the retro Omega logo, the clasp feels out of place. Inside is the cal. 1861, which is actually an Omega 1873. Hand-wound and almost 50 years old, the movement is robust but fairly simplistic. That’s perhaps the only weakness of the watch, being neither the original cal. 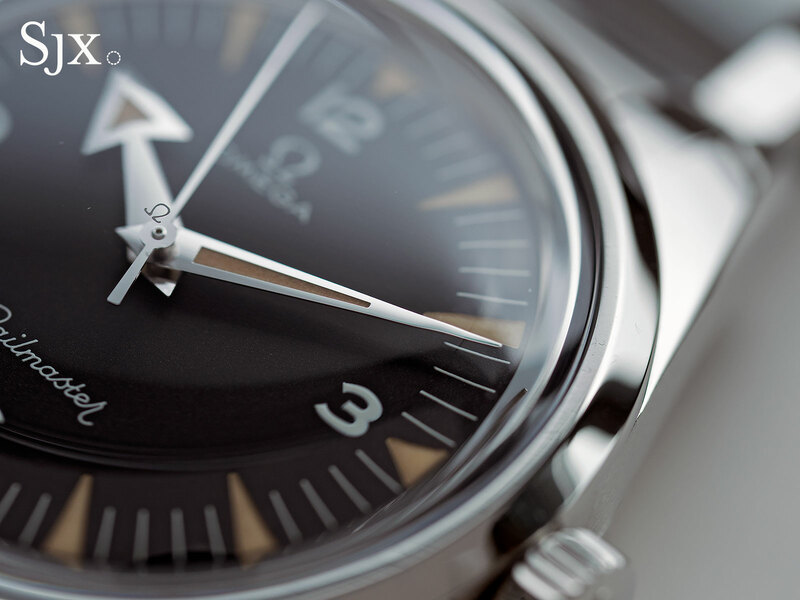 321 found in the CK 2915-1 nor a high-tech, modern movement as found in the Railmaster and Seamaster reissues. Put another way, far more effort and skill was devoted to the design and feel than the movement inside. 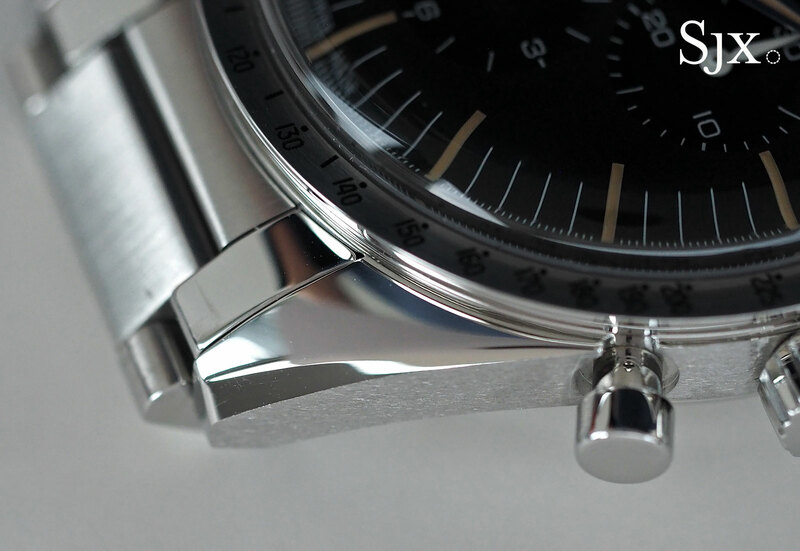 That’s perfectly acceptable for the ordinary Speedmaster Moonwatch, but harder to swallow here given it’s almost twice the price and matched with other remakes that have superior movements. 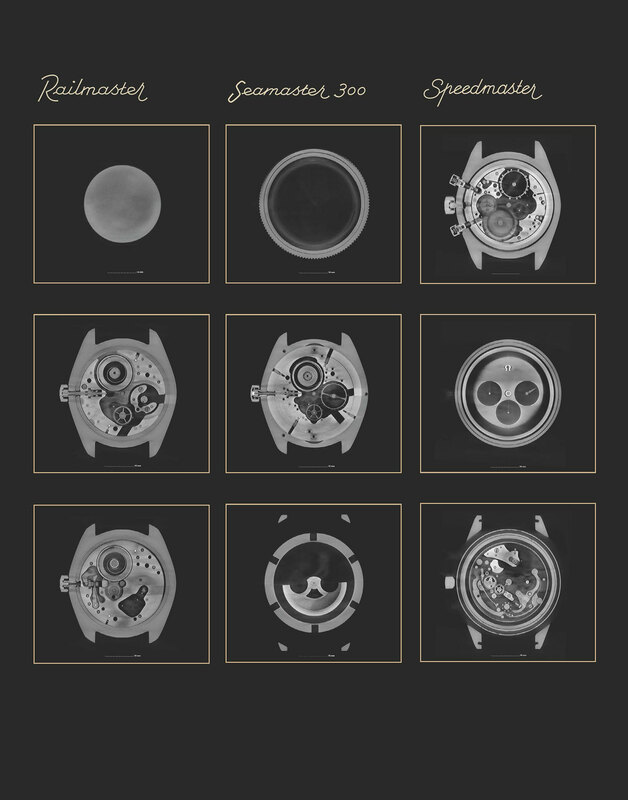 Unsurprisingly, the Speedmaster is by far the most popular of the trio, according to both retailers and Omega itself. It’s the safe, effortless choice – and it is also what I put a deposit on – but the pedestrian movement leaves the faintest of doubts. 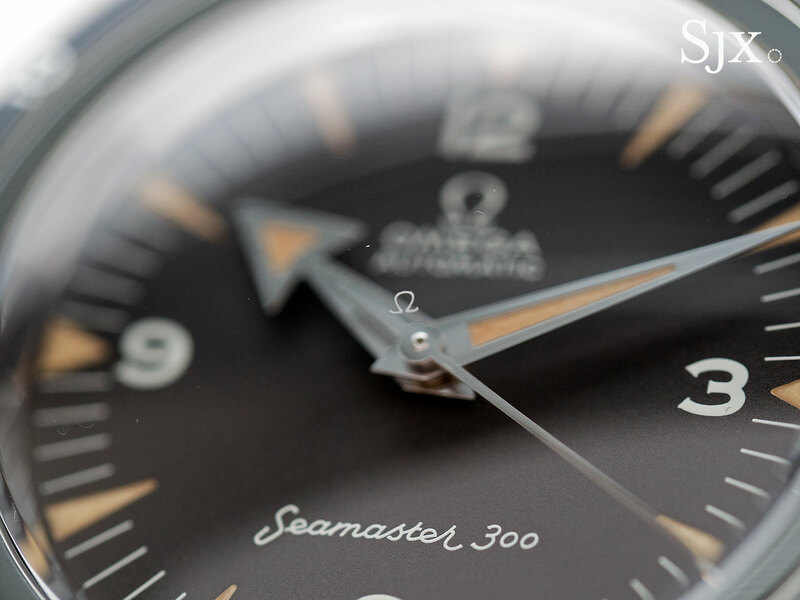 The Seamaster 300 60th Anniversary (ref. 234.10.39.20.01.001) is modelled the CK 2913. Rated to 300m, the CK 2913 was Omega’s first “Professional” dive watch, the watchmaker’s equivalent of the Rolex Submariner, which made its debut in 1953. While it is a faithful remake like the Speedmaster, the Seamaster 300 has a vintage facade that hides a cutting edge mechanical movement. 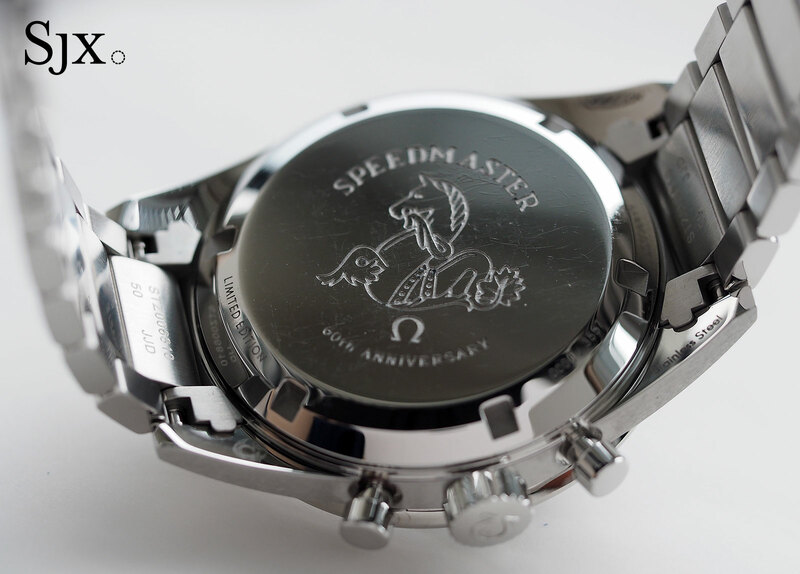 Marginally larger than the Speedmaster at 39mm in diameter, the Seamaster 300 nonetheless feels smallish. The size feels vintage, which will be an obstacle for someone used to the larger watches of today. 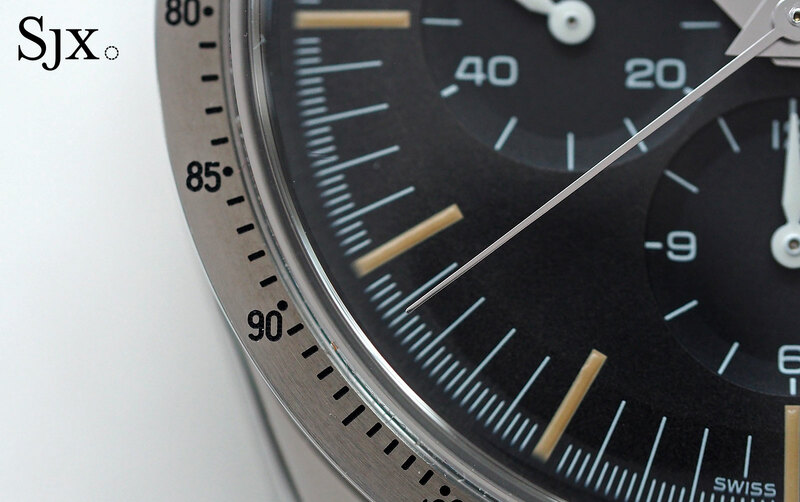 As with the Speedmaster, the dial is as good as the original. 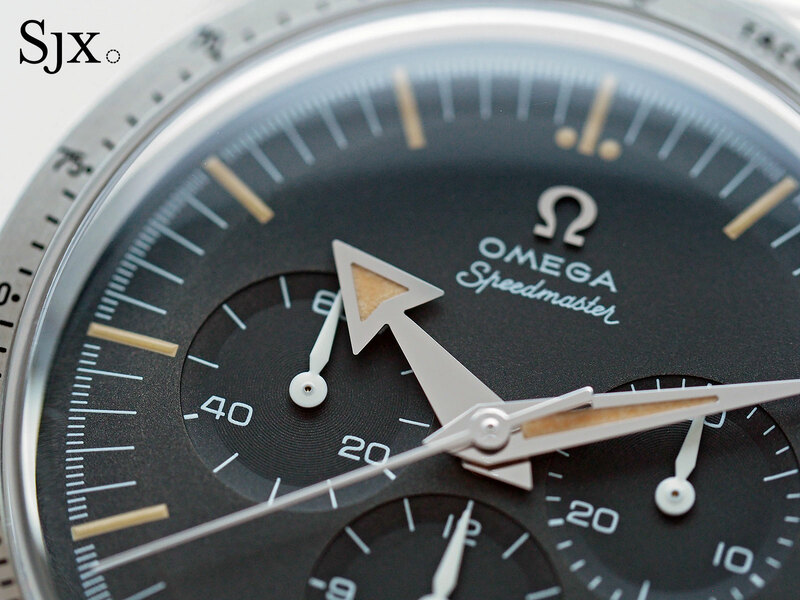 There’s a tiny Omega logo on the crystal – which is domed sapphire, a big plus – and the faux vintage lume is painted in recessed plots, as on the CK 2913. Notably, the black bezel insert is anodised aluminium, like the original. That was not supposed to be – the bezel insert was intended to be scratch- and fade-resistant ceramic, but the hard yet brittle material cracked easily because the insert is too narrow. But the movement inside is distinctly modern. It’s the Master Co-Axial cal. 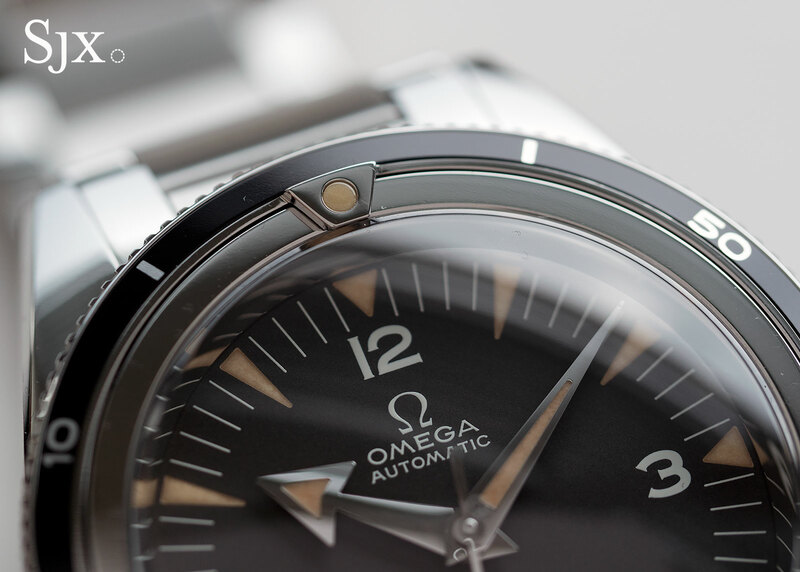 8806, which boasts all the technical innovations Omega has developed in recent years. 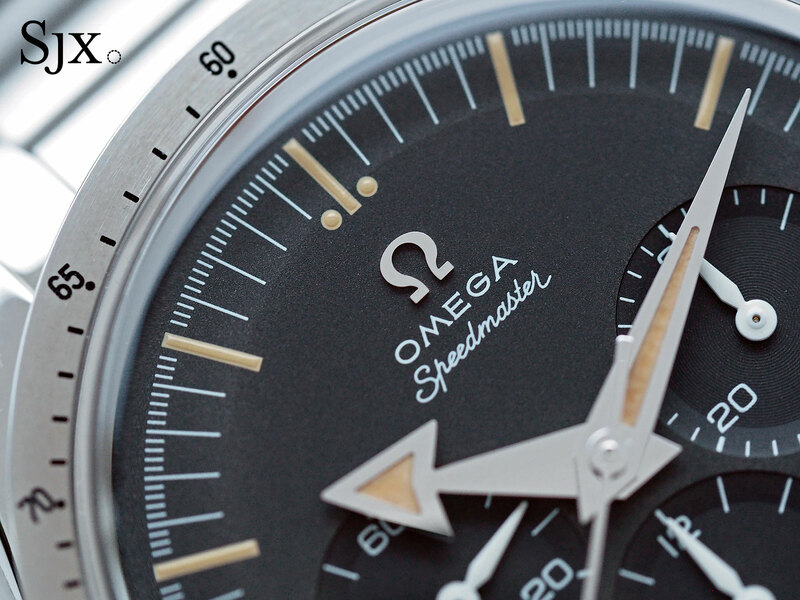 And like all of Omega’s top of the line movements, it is independently tested and certified by METAS, Switzerland’s national meteorological institute (which admittedly only tests Omega movements to date). Equipped with the friction-free escapement designed by George Daniels, the cal. 8806 boasts patented alloys used to fabricate the escapement parts as well as an Si14 silicon hairspring, giving it magnetism resistance to 15,000 Gauss – the highest on the market. 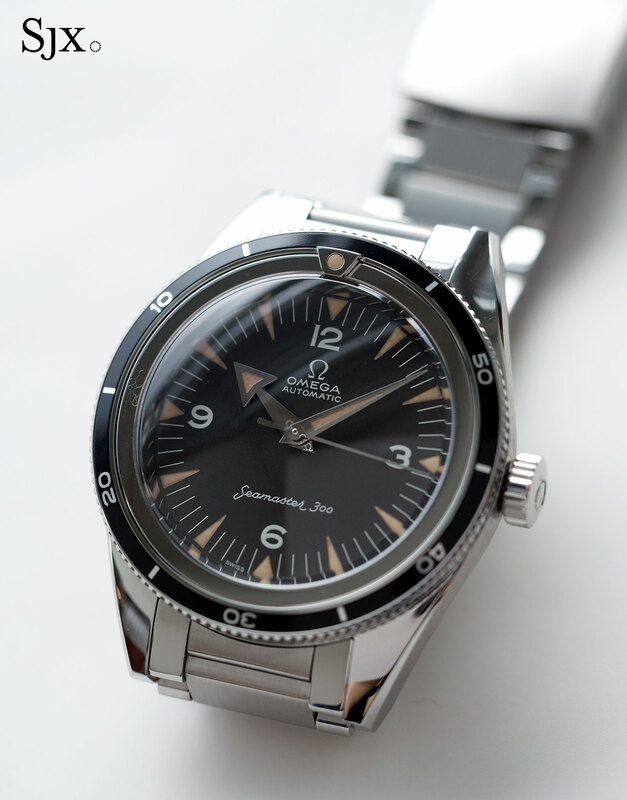 And like all other Omega watches with a silicon balance spring, the Seamaster 300 has a four-year warranty (the Speedmaster has the standard two years). During Baselworld all eyes, including mine, were on the Speedmaster, but the remarkably astute Hirota Masayuki of Chronos Japan magazine pointed out that the Railmaster was his pick of the three. The dark horse of the trio is the Railmaster 300 60th Anniversary (ref. 220.10.38.20.01.002). Visually the Railmaster is functional and, as the catalogue describes it, “unpretentious”, so the Railmaster is not the obvious choice. But as the cliche goes it grows on you. 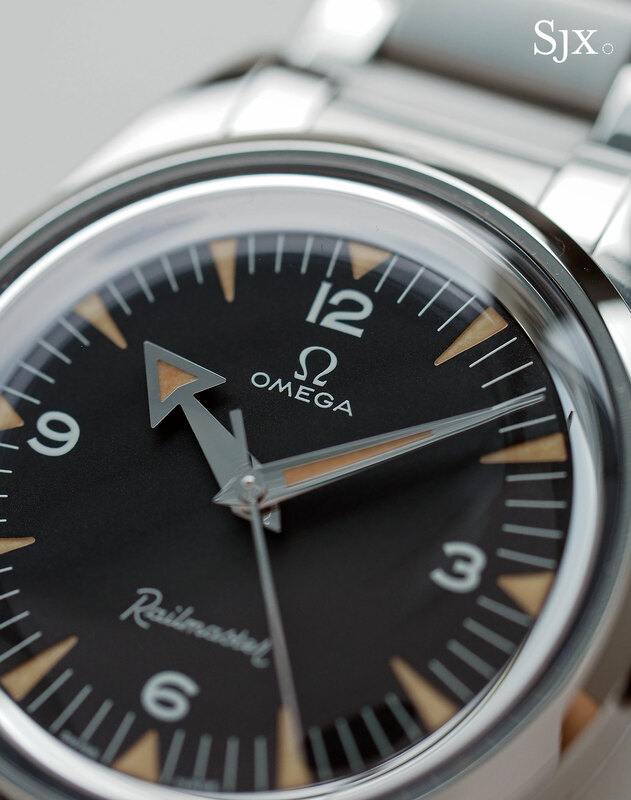 Like the Seamaster 300, the Railmaster feels properly vintage, but is equipped with a nicely domed sapphire crystal as well as a Master Co-Axial movement. 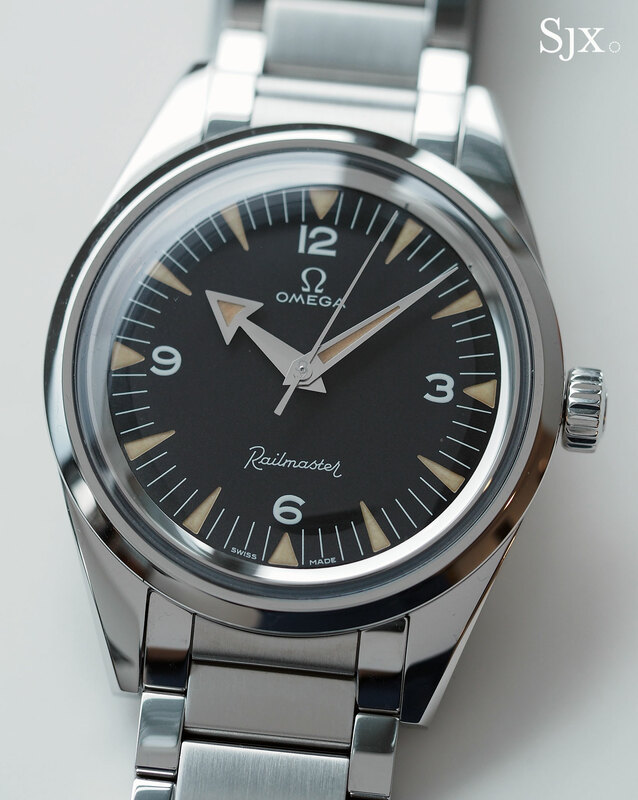 But the Railmaster has the advantage of having a less common look compared the Seamaster 300; the dive watch remake segment is densely populated one. 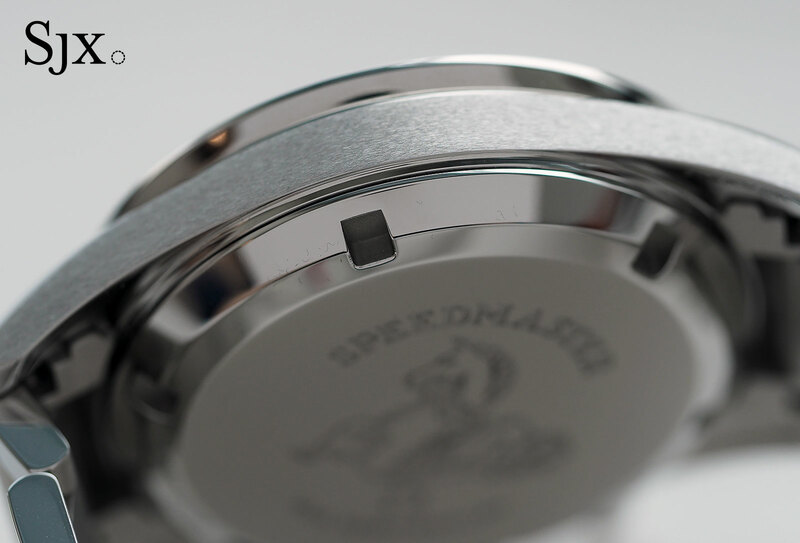 Despite being just 38mm in diameter, the Railmaster feels right on the wrist, for two reasons. 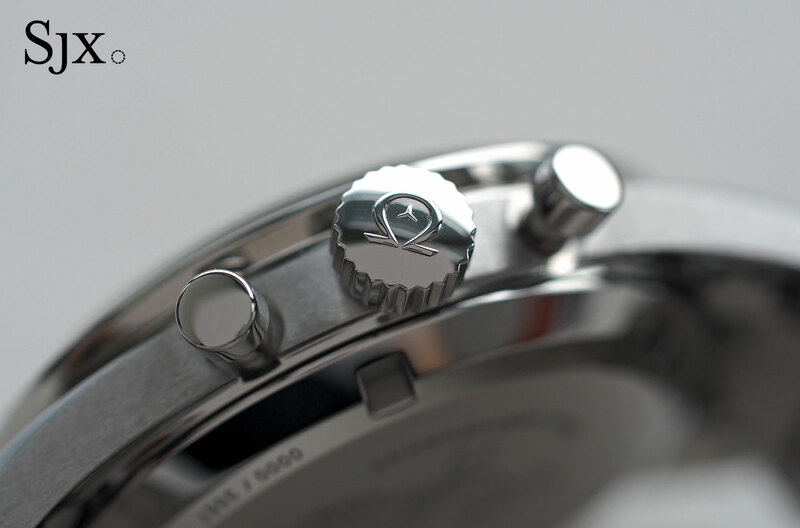 One is the narrow bezel and largish dial, which helps the watch seem larger. Second is the fact that the design of the Railmaster puts it in the adventurer category of sports watch (inevitably meaning the Rolex Explorer I), which is historically comprised of smaller watches, as opposed to dive watches or chronographs for instance. That being said, the original Railmaster was the CK 2914, a magnetism-resistant engineer’s watch that was a peer of the IWC Ingenieur and Rolex Milgauss. 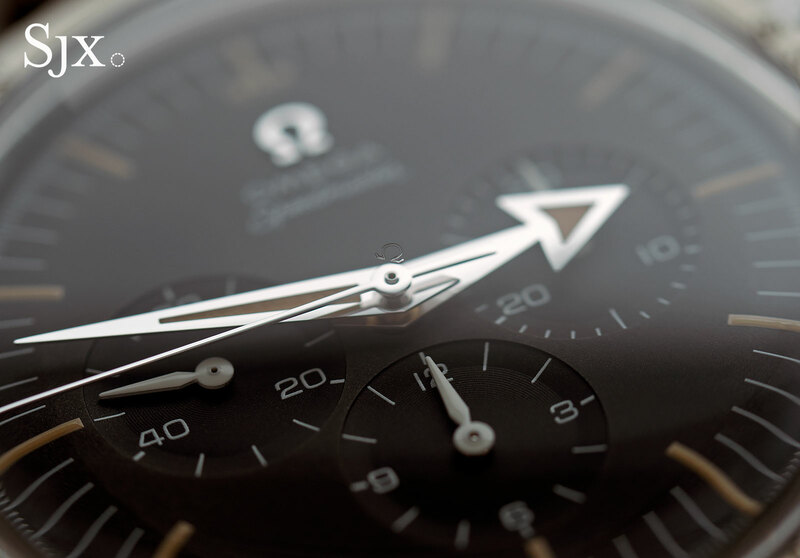 The CK 2914 was a civilian model launched in 1957 that was descended from the precision wristwatch made for the engineers of Canadian Railways four years earlier; Omega having been supplying timepieces to the railroad since 1905. While the 1950s Railmaster was protected from magnetism by a basic but effect soft iron cage, the modern day remake is powered by the cal. 8806, accompanied by the four-year warranty. So the appeal is similar: brilliantly executed style coupled with advanced engineering that promises superior function. 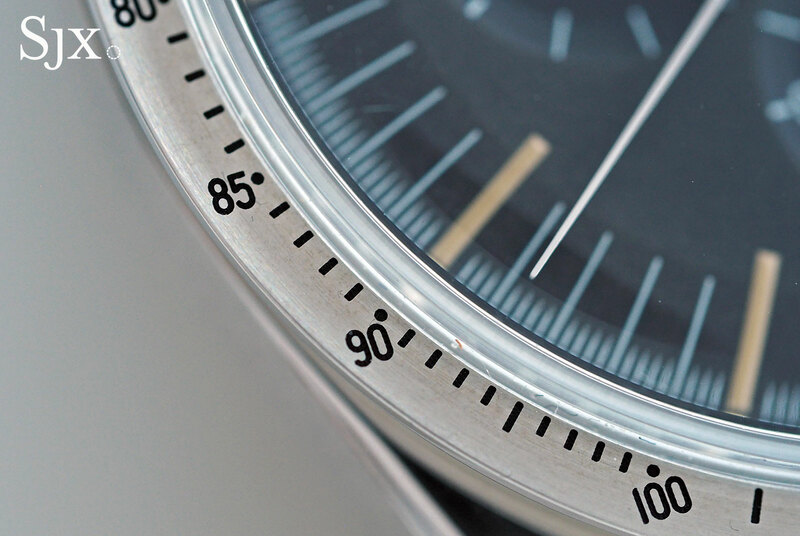 So while I asked for a Speedmaster when I saw the set at Baselworld, the Railmaster weighs on the mind. 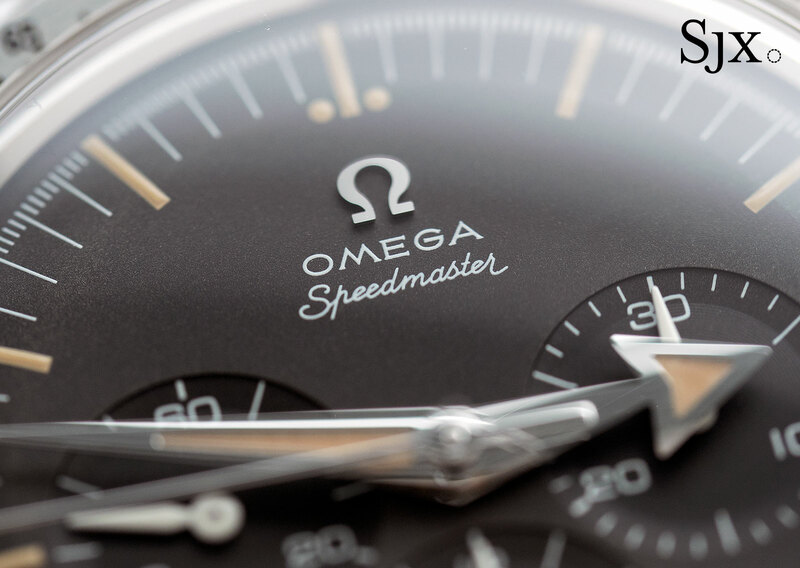 The Speedmaster is the conspicuous choice – getting that one is playing it safe – but the Railmaster seems like a more thorough product since as much effort was put into the movement as the retro styling. I still don’t know what I will do when the watches hit the stores and there is still time to change my mind, particularly since the Railmaster is the least popular of the three, based on anecdotal evidence from retailers. The three-piece 1957 Trilogy set is priced at US$21,600 or S$30,000. 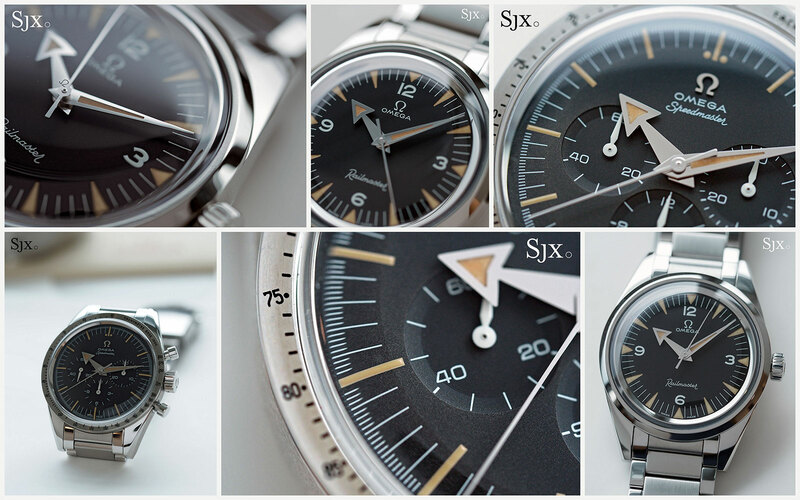 Omega says all 557 sets are spoken for, but as is often the case with pricey watches things can change. Individually the watches are each limited to 3557 pieces. 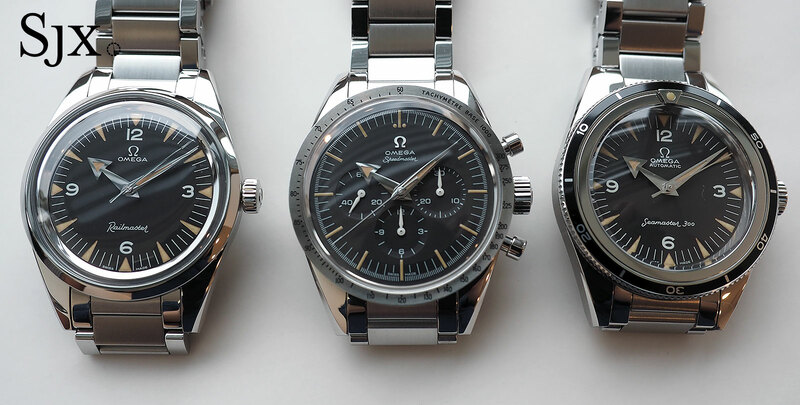 The Speedmaster 1957 Trilogy is priced at US$7250 or S$10,050. 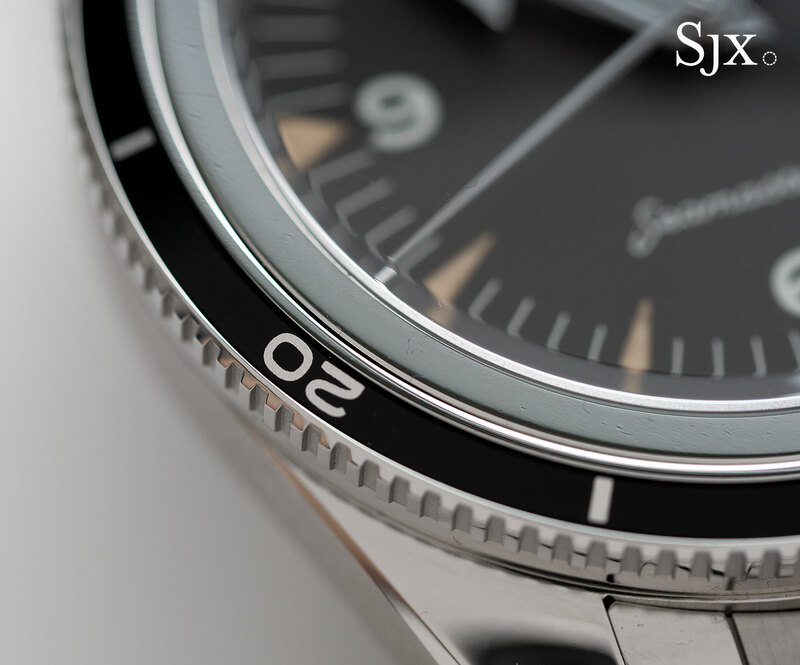 The Seamaster 300 is US$7000 or S$9750. And the Railmaster is US$6800 or S$9450. All are expected to reach Omega boutiques in late July, as of June 2017. Authorised retailers will receive them slightly later.